It’s been a long, cold winter. You need a break from bitter winds and layered clothing. You need a girlfriends’ getaway. And Woodinville – with its 100-plus wineries and tasting rooms – is the perfect remedy. 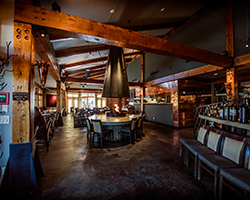 Just 30 minutes outside Seattle in the bucolic Sammamish River Valley, Woodinville has all the hallmarks of a memorable friends retreat: cozy spots for long conversations over good food and drinks, outdoor adventures to raise your heart rate, and a legendary spa and lodge to slow it down. The Willows Lodge is the perfect headquarters for your Woodinville adventure. You''ll appreciate warm comfort of the craftsman architecture and northwest decor. 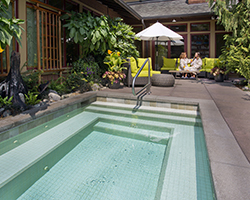 Spa Packages are a perfect way to wind down after a day of wine tasting and shopping. 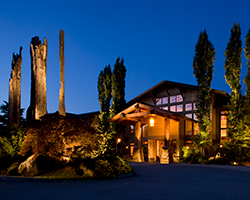 The Barking Frog Restaurant and a glass of wine at the Fireside Lounge are recommended stops. Book a room. Make it a truly epic experience by booking a girlfriends getaway package at Willows Lodge. No matter the season, Willows Lodge is welcoming. 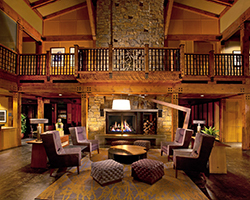 Each of the 84 guest rooms and suites has a fireplace; there are 10 more throughout the lodge’s public and event spaces. The spa’s new relaxation room is the perfect spot to sip a mimosa while waiting for a signature treatment from one of the highly skilled therapists or aestheticians. Note that phase two of the spa renovation continues. It will be closed Feb. 26 through March 5, but then treatments will resume in converted guest rooms for the remainder of the renovation until the spa reopens on April 6. Afterward, enjoy a glass of wine in the Fireside Lounge or reserve a table at the Willows' highly regarded Barking Frog restaurant. A recent renovation expands the view of the kitchen from the dining room, so you can watch the chefs in action. Flowers, festivals, food, and drink—a city center that’s bursting with flavor and activity. Once your room is reserved, it’s time to map the rest of your getaway. Woodinville is divided into four districts. 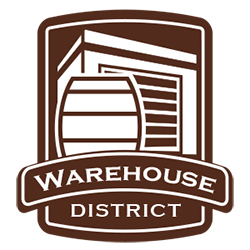 The Hollywood and Warehouse districts are wine central. 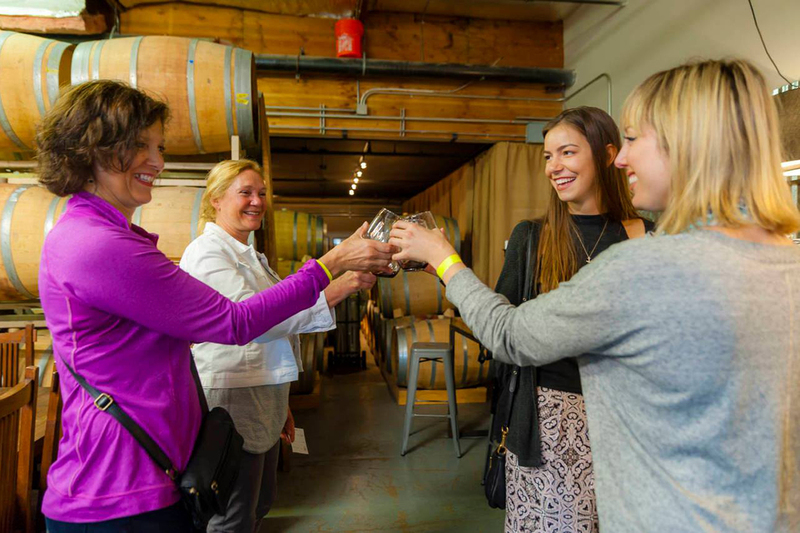 Here you’ll find artisan winemakers, delicious food, views of the scenic valley, and access to the paved biking and walking trail that winds along the Sammamish River. “It’s unique to have this many tasting rooms and wineries so close to a major city,” says Laurie Cook, chair of Visit Woodinville Tourism. Visitors can park and stroll to tasting rooms and working wineries just steps away from one another. “You can sip and relax where the magic happens,” Cook says. 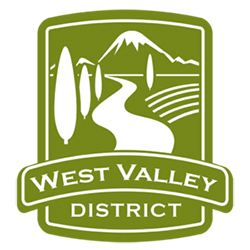 The West Valley District has more tasting rooms as well as distilleries and breweries. 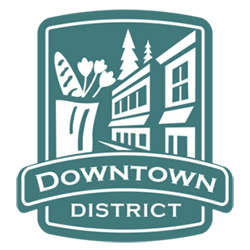 Visit the Downtown District for shopping, including iconic garden and home center Molbak’s. Plan your own Woodinville wine experience or leave it to the experts. Certified sommelier and wine educator Shelly Fitzgerald offers Wine Diva tours with light bites and fine wines at select venues this spring. Book tickets in advance. 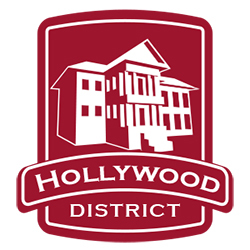 Stop at the Visitor Center in the Hollywood District for insider tips. Find more wine country events and experiences at the Woodinville Wine Country website. 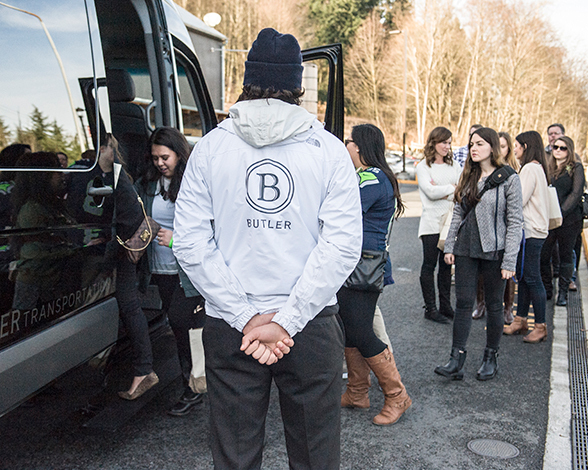 Personalized group tours and itineraries are all part of the services available at Butler Seattle. Our friendly and knowledgeable crew is ready and waiting for you to call. For a truly relaxing experience, book a custom tour with Butler Seattle, the Woodinville-based wine tour specialist. 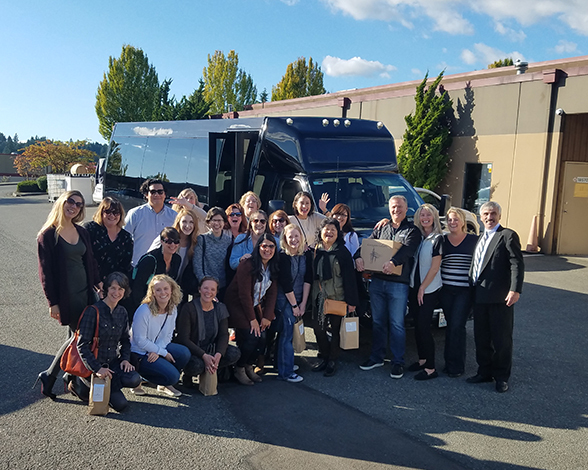 “Because we’re regularly in touch with the wineries and tasting rooms, we can show up on a busy Saturday afternoon and still offer our clients a very high-touch experience,” says Emily Pollock with Butler. Itineraries can also include the area’s breweries and distilleries, shopping, or a drive out to Snoqualmie Falls. The company prides itself on creating tours that provide a great experience for guests and the local businesses that are Butlers’ partners. That attention to relationships “gives us access to experiences that wouldn’t otherwise be available” to visitors, she says. 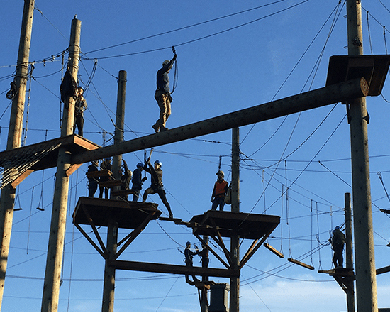 Our aerial adventure park is a physical environment where climbers encounter obstacles that challenge their ability . Zip lines, ropes and swings will test your nerve and result in uncontrollable giddy fun for you and your buddys. Climb, jump, grab, haul, swing, walk and balance at heights of up to 50 feet above ground. 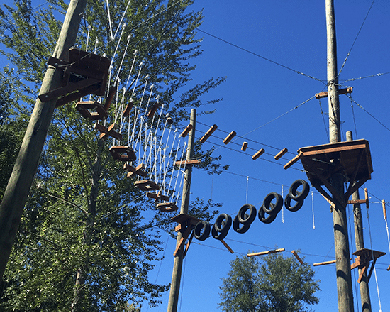 On Day two, bond with your crew at Adventura aerial adventure park on forested land along the river and within sight of The Willows Lodge and the Sammamish Trail. 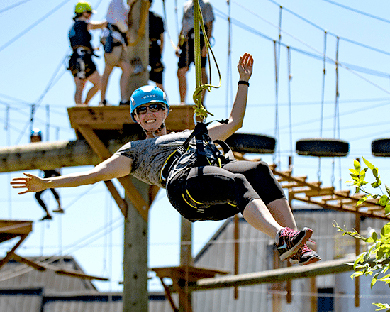 At the park, climbers encounter obstacles that challenge their ability to climb, jump, swing, and balance themselves while at heights of up to 50 feet above ground and then descend safely via ropes or zipline. “Adventura is a place where people can come and do something that they hardly ever do,” says founder and CEO Scott Chreist, who adds that while participants should be in good health and physically fit, you don’t need to be an Olympian to conquer the course. “The big thing is going out with friends, strengthening relationships with each other, and having a strong sense of accomplishment.”Check the website for special rates. Adventura is open to the public beginning April 5 and the park generally stays open through the middle of November. Check the website for special rates. Adventura is open to the public beginning April 5 and the park generally stays open through the middle of November. He was right. 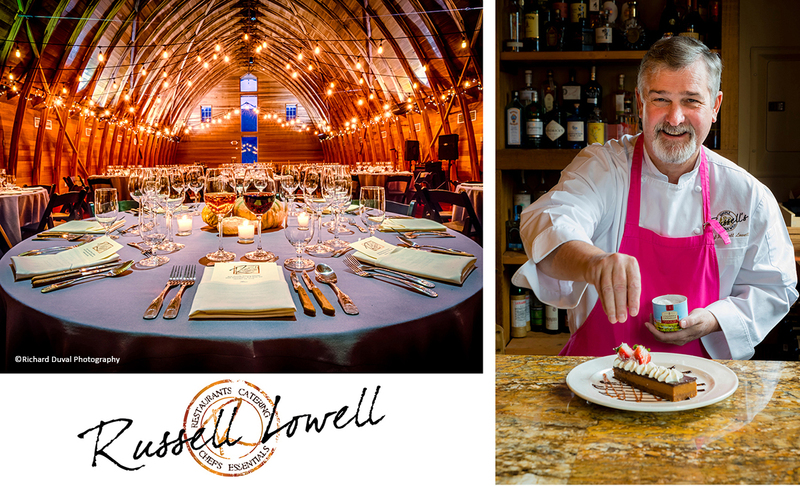 Russell’s is now the preferred restaurant of local winemakers, and with its comfortable vibe, excellent wine list, local cuisine and seasonal winemaker dinners, it’s the perfect spot to toast your girlfriends’ getaway to Woodinville wine country. The chef, who has cooked around the world for famous clients, is a storyteller. He may stop by your table to share a few. “The goal is to have fun every day, “Lowell says. “To never know what’s going to happen. Be excited. Live life as only you can.” Kind of like the girlfriends’ getaway in Woodinville you’re craving right about now.